At Horizon Yachting, we pride ourselves in having organized probably the best bareboat charters and flotillas on the island, and we aim to continue doing so! Our extensive knowledge of the charter business, track record and network of associates provides us with access to the best deals on brand new flagships or other thoroughly maintained sailing yachts and catamarans, which in recent years have included unique flagship yachts and destinations, one-way arrangements and activities that set us apart. We strive to bring yachting within reach to newly qualified skippers and non-experienced crew alike. Individual participation in Flotilla. 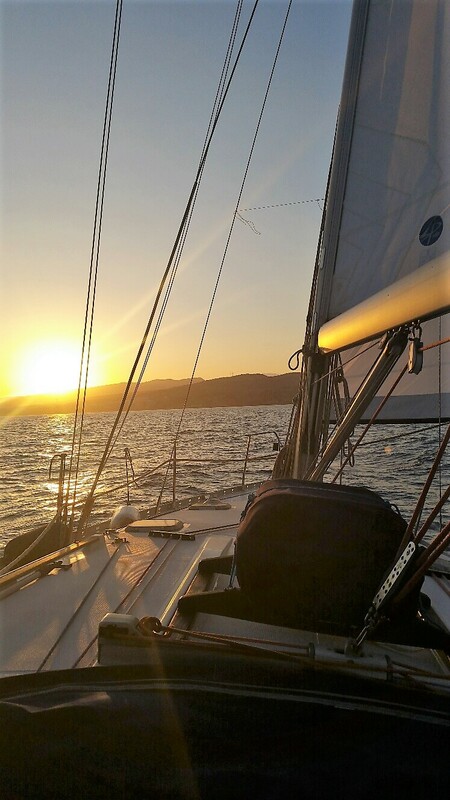 We organise several week-long sailing trips every year to the Greek islands and further afield. Participants can join our flotillas for a competitive fixed fee and gain practical experience with a senior skipper/instructor on board taking care of every aspect of safety, planning, provisioning and training. Visiting a different island every day and enjoying the picturesque sceneries, culture and cuisine the islands have to offer is equally appealing to non-sailor crew who appreciate this as one of the best holidays anyone can have and keep coming back for more! Join our flotillas skippering your own yacht. This is the smoothest step towards bareboat chartering, offering skippers all the fun and half the worry especially when making their first steps in the direction of chartering. We provide a great opportunity for skippers who would like to charter their own yacht with their friends but are somewhat concerned or inexperienced with the procedures and technicalities, to join our flotillas and enjoy all the support, organisation and safety that sailing in a professional flotilla has to offer instead of solo cruising. This way skippers can concentrate solely on skippering their own yacht and leave everything else (searching, booking, transport, provisioning, route planning, forecasting etc) to the professionals. Bareboat chartering. As sailing instructors and frequent charterers, we understand the concerns and anxieties of the bareboat skipper. We can arrange for our bareboat skipper clients to charter the most appropriate yacht for their experience, crew, destination and season. Our wide reach and thorough knowledge of the charter business secures the best available yachts at the most competitive prices. In the process, we will provide our clients with all the advice they may need along the way and take care of the little details that make a good charter a great one. Skippered/crewed charters. As with bareboat chartering we can assist our clients organise their ideal vacation on a skippered or fully crewed (hostess, cook, deckhand etc) sailing yacht, catamaran or motor yacht of any size. Corporate team building trips. We can discuss with corporations who are interested in organising an unforgettable team building experience for their employees and associates all the aspects of such an endeavour, from half-day to full week, in Cyprus or abroad. Give us a call! You will be amazed how many different ways there are to get you on the water!